Siena is one of Tuscany’s most delightful and beautiful cities and a wonderful destination for a wine tour as it is in easy reach of top wine regions like Montalcino and Chianti as well as the airports of Florence and Pisa. So, for wine lovers looking for a short and luxurious break in Italy, we have organized this fabulous tour! Dining is just as important as wining on our tours, and you can look forward to a range of gastronomic experiences from Michelin starred restaurants to rustic and warm meals at historic wineries. Apart from food and wine, you will take in some private, chauffeured sightseeing tours of Siena’s “Centro Storico” along with other beautiful Tuscan towns like San Gimignano and Monteriggioni. This is an ultra luxury short break and you will have a private chauffeured Mercedes for all the touring, meet the owners and winemakers themselves at the wine estates, and enjoy VIP treatment everywhere you go. Explore Tuscany, the beautiful Italian region where the Renaissance was born; where the powerful Medici family ruled; and where artists such as Michelangelo, Donatello, and Botticelli found their inspiration. Siena houses a wealth of Renaissance architecture and paintings which you will discover with your private art guide. Taste top Brunello wines and Sangiovese based velvety Chiantis. 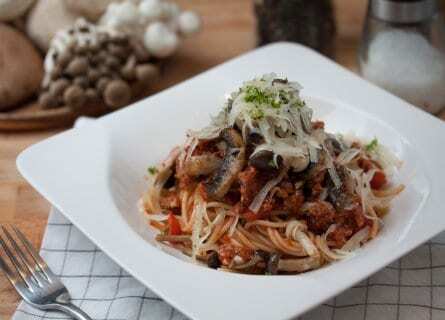 Try traditional Tuscan products like “Pecorino alla erbe aromatiche” (cheese with aromatic herbs), “Olio extravirgine di oliva Chianti Classico Dop” (extra virgin olive oil from a designated and protected appellation), “Funghi Porcini Toscano” (Porcini mushrooms) and “Pici” pasta (delicious, traditional pasta from Siena, served with a meat “ragu”). And sleep in a breathtaking palace dating back to the 17th century. If you love Italian food and wine and would like to visit Siena and its wine country like a savvy & glamorous local, then contact us today for more information on this unforgettable wine tour. This morning you will arrive at either Florence or Pisa airport, where your private driver guide and elegant Mercedes will be waiting. Your first stop on this tour is a winery, naturally! 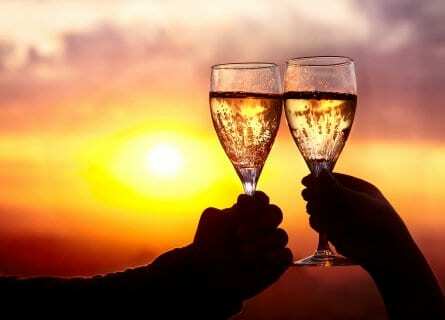 You will drive into the romantic Chianti Classico, the “ultimate” Italian wine region. This is the wine country postcards were made for, with its medieval hill topped villages, lush woodlands, cypress-lined country roads and valleys blanketed in vineyards and olive groves. Arrive at a top winery such as Badia Coltibuono, one of our favorites. This historic winemaking estate was founded by Vallombrosan monks when they built their impressive abbey here in the 11th century. Badia Coltibuono, in fact, translates as “Good Harvest Abbey”. These days, it is one of Italy’s most prestigious wineries, making not only wines but Balsamic Vinegar, and Olive Oils. On a private VIP tour, you will explore the extensive grounds including the manicured renaissance garden (aromatic with its lavender and lemons) and the ancient wine caves. Taste their best wines including the Super Tuscan Sangioveto, followed by an elegant lunch right at the estate. In the late afternoon, carry on to Siena, and check into your gorgeous hotel with the best location in town. Settle in and the rest of the evening is yours. You will find a welcome pack and wine in your luxurious room and a keepsake itinerary with plenty of suggestions for dining, shopping and exploring. Welcome to Siena! After a leisurely breakfast in your beautiful hotel, your driver will meet you and you will head southeast for about one hour to Montalcino this morning. 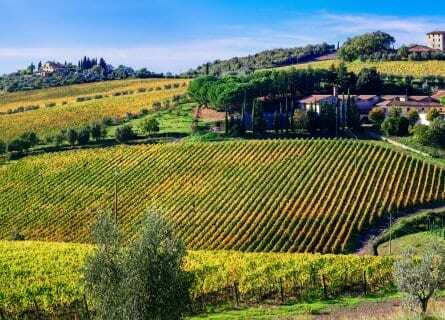 The scenery is supremely picturesque and contrasts with the landscapes of Chianti. Montalcino is where Brunello, one of Italy’s greatest wines, is made and today you are going to visit two of the best estates. Begin with a private tour at Altesino, a mythical name for Brunello producers. 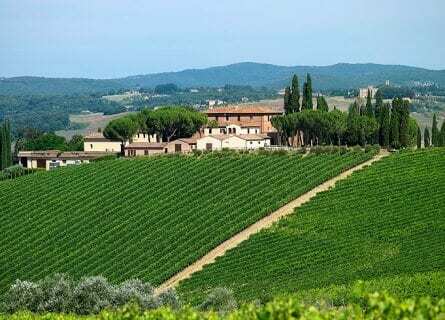 You will see the lush vineyards, tour the wine cellar and follow with a tasting of their Rosso di Montalcino and Super Tuscan “Alte d’Altesi” and as a very special treat- their Brunello di Montalcino Montosoli (the best wine made at Altesino). You will almost certainly be ready for lunch by the time your tasting finishes, and we will have a special traditional menu planned for you in the medieval hamlet of Montalcino at one of the most authentic local taverns. Explore Montalcino on your own for an hour or so after lunch, to stretch your legs, get some photos of the fortress and dramatic views below or pick up some excellent Brunellos in an enoteca. Your last winery tour in Montalcino is at Casanova di Neri, whose Brunello was named the best wine in the world (!) by Wine Spectator magazine. The visit is great here, as is the tasting of their five best wines which you will enjoy immensely. In the later afternoon, return to Siena and relax at your hotel, freshen up. In the evening your driver will come to collect you for dinner. Tonight you will dine at a superb Michelin starred restaurant just outside Siena where you will have the chef’s tasting menu and special wine pairings waiting for you. After a long, very enjoyable meal, your driver will drop you back into Siena. The morning is yours to sleep in, relax, or have a leisurely breakfast. In the late morning, your very friendly and knowledgeable art guide Chiara will meet you in the lobby and you will embark on a private walking tour of Siena’s most cherished sites and monuments. Learn all about the medieval Palio, which captures the world’s attention every summer when colorful, jousting knights on decked-out horses bearing family coat of arms dating back for centuries, compete in the “Campo” (the scallop-shaped main square). Visit the cathedral, one of the most absolutely spectacular buildings in Italy (and this says quite a lot! ), which took hundreds of years to complete. Your guide will entertain you with anecdotes and plenty of local legends, bringing Siena’s fascinating history to life for you. After a fantastic three-hour walking tour, you will have worked up an appetite and you will sit down to a traditional lunch in a quaint trattoria. Taste local dishes like marinated artichokes and olives, Pici pasta with a duck ragu, baby lamb chops, and almondy cantucci to be polished off with a glass of nutty Vin Santo. In the mid-afternoon, your driver will take you on a sightseeing tour to San Gimignano, coined the “medieval Manhattan” for its numerous towers (skyscrapers in their day). Before returning to Siena, stop at sunset to Monteriggioni, probably the cutest fortified hamlet in Tuscany. The village has all of five streets but is well worth a stop. Admire the views over the vineyards. You can have a coffee or aperitif before your driver takes you back to Siena. The evening is yours with our suggestions. This morning or afternoon at your preferred time, your driver will take you to Florence or Pisa’s airport for your departure flight. And this concludes your luxurious and highly enjoyable short stay in Siena. We look forward to seeing you again! We now know to book many MORE days we need and would request our guide and driver again. We will definitely tell our friends and be back again as well as use you in other countries in the future.